Sometimes the numbers just don’t work out. Every so often economic forces line up and work against you. Occasionally life happens and that perfect string of health you’ve had gets interrupted by a few weeks/months of illness. 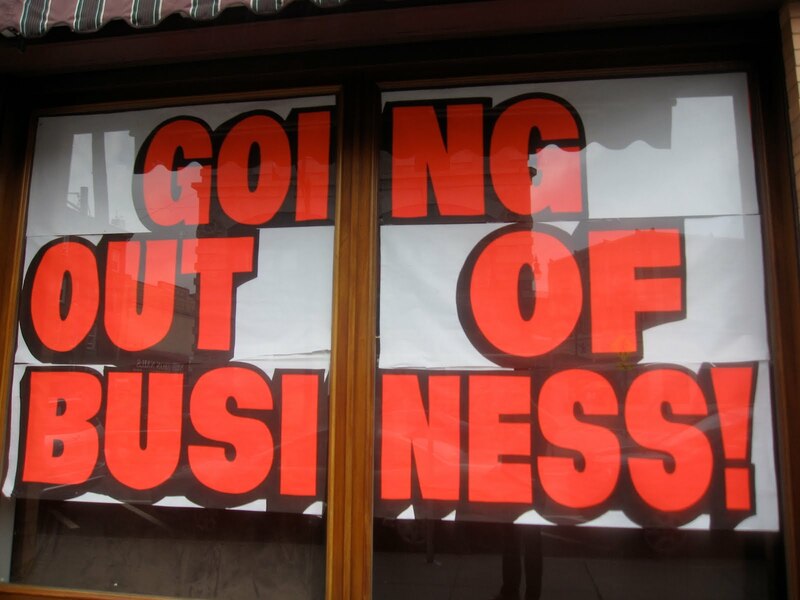 The point is this; sometimes even with the best planning, your new business can fail. It hurts. It stings. It can even leave you evaluating your intelligence and self worth. But we’re here to tell you something; you can start over IF you can muster the courage to try again. Have a short pity party and then move on. The one thing that leads to achieving your goals in this world is action. Feeling sorry for yourself is acceptable, but you can’t let it get in the way of you moving forward. In sports, athletes are usually allowed a brief moment to reflect on a loss and then they must move on. One water bottle. One time out. One down. You get the point. So for the “failed” entrepreneur you get a brief minute to feel sorry for yourself. Once that minute is up, no more looking back okay? Simply focus on doing what it takes for you to become a “successful” entrepreneur. Figure out what went wrong. In the financial analysis world we often get to “geek out” on all the information at our disposal. This is good in that it provides a ton of insight into how a business operates and intersects different points. It can be bad if you let it lead to paralysis by analysis and never work to either 1) start your business or 2) truly address what is going wrong. So if your first attempt didn’t go as planned, we recommend talking a look at where it went off the tracks. Didn’t keep financials? Please make sure you do this second time around. But if you did, try and pinpoint what the downfall was (e.g. lack of adequate marketing, poor ordering habits, low pricing, etc) and make sure it doesn’t happen again. Seek outside advice on what could be changed. When you create a company you are supposed to elect a board. Even if you are a company of me, myself and I, you should put together a panel of advisors that you can turn to for advice. These people, hopefully some who are familiar with your industry, can help guide you through some of those pitfalls and perils of starting up a company. Don’t have access to a board? Then put together a talented team of professionals (e.g. accountant, attorney, consultant) who can look at what is going on and give you recommendations. Hey, the advice of a GOOD professional is often worth their invoice a thousand times over in the long run. Put together a new/realistic plan on how to start again. So once you’ve received the advice on what can be improved, you should sit down and create your plan for the next venture. Take a look at the original business plan you had and compare that to what actually happened. Look for gaps and figure out how to address them. For example, if you thought spending $4,500 in marketing a month would get you 100 new customers each month, but it only got you 65, then make sure you adjust your sales forecast in your new plan. The point is to make sure that your new plan is as closely aligned to reality as possible. This will then allow you to see if your new venture stands a chance at success AND when you should expect to see the signs that things are working. Get going – this is the key to any failure. If at first you don’t succeed, try, try again. Okay. So you’ve figured out what went wrong, got some advice on what should/could be changed and have dusted your ego off. So now what? Get back out there and try again! We all can relate to being a kid and falling off our bike. What was the recommendation? Get back on as soon as possible; the longer you wait the more gun-shy you’ll become. The same goes for a failed venture. Once you’ve got yourself in a position to do it again, go ahead and pull the trigger. Delaying the date you start only delays how fast you get to success. This entry was posted in Business Talk and tagged business failure, does a business need a board?, failing as an entreprenuer, how to fix a failing business, starting over as an entrepreneur, starting over when your business fails on August 23, 2013 by Administrator. During the first few years in business entrepreneurs are typically in build mode. They are constantly scrambling to find new customers, prospects and events they can attend; anything they can do to bring in some money. But after a few months/years something funny starts to happen – customers start to seek you out. This can lead to an entrepreneur losing their “hustle” mentality, which if left unchecked, can lead to a possible stagnation or decline in new business. The solution? Mining your acres of diamonds. A while back one of our colleagues recanted the “Acres of Diamonds” story to us. Acres of Diamonds originated as a speech which Russell Conwell is said to have been delivered over 6,000 times around the world. It was first published in 1890 by the John Y. Huber Company of Philadelphia. The central idea of the work is that one need not look elsewhere for opportunity, achievement, or fortune – the resources to achieve all good things are present in one’s own community. Pay attention to your customers. Often times a company will struggle when they start to take their eyes off what their customer wants. To combat this, make sure that you track what matters to them and engage them on a regular basis. This is as simple as sending out a customer satisfaction survey periodically and having a social media presence on platforms such as Twitter and Facebook. By engaging with your customers regularly, you can adjust your services and offerings to address what is important to them. If done correctly, you’ll wind up with a complimentary advertisement system/sales force via the referrals they send you. Track your marketing. We do tons of marketing efforts each year. One of the questions we often ask a prospective or new client shortly after they contact us is “how did you hear about us?” This gives us some insight into which marketing initiatives are bringing us business and which might need to be adjusted or scrapped. Once you know what is working, increase your spending in that area and you should see your sales escalate over time. Always look for ways to recapture lost customers. Just because a customer left you for a competitor doesn’t mean that they didn’t like what you had to offer. Sometimes customers leave because of price, convenience or just simply because someone touted an offer that just sounded better than yours. However, some customers find that the grass isn’t greener on the other side, but it’s sometimes hard to return to your former provider without feeling embarrassed. Thus, if you send out advertising to your old customers offering them a discount or telling them to give you another chance, they might just do so. Sometimes all it takes is you making them feel welcome for them to come back home. Remind your customers that you are ALWAYS there for them. People often only think of you when they have a need, especially in service businesses such as ours. If your business is seasonal in nature, your customers might only think of you once a year! Needless to say, that’s not good for your business or your bottom line. One way we tackle this is through a customer touch program. The essence of this program is to send out a series of customer communications that are designed to engage with them. These can range from tweets, to Facebook posts, to blog posts, to monthly newsletters to a simple customer phone call. The goal of each interaction isn’t sales oriented (per se) but more so to remind your customers that you are 1) thinking of them, 2) there to service their needs and 3) remind them of what you offer. Point three is pretty important, especially when you add new services to your menu. This entry was posted in Business Talk and tagged Acres of Diamonds, customer satisfaction survey, Customer Touch Points, Growing Your Business, How to grow an established business, how to grow your business on August 6, 2013 by Administrator. We recently came across an article which discussed a dozen public accounting ideas that don’t work anymore. The article begins by mentioning a sermon that Rev. Robin Meyers preached where he warned that there may be an eighth deadly sin: nostalgia. You know, that feeling of fondness and good memories of a time since passed; usually quite some time ago. What was being suggested is that maybe by holding on to those “good ‘ol days” (which may not have been really all that good), we are actually delaying making the significant changes needed to address modern/future realities and challenges. So with that said, we got to thinking; what are some things that don’t work in business anymore? What are some things that CEOs and workers cling to that should really be abandoned in today’s times? Back when Jared worked in the consumer package goods (CPG) industry, he said they lived and operated by one phrase. Innovate or die. What does this mean? Well, if your competitors are always looking for and introducing the next big thing each year, you better do the same or you’ll get left in the dust. To that end, if your business isn’t keeping pace with customer/consumer preferences and demands, you might as well just close up shop right now. Build It and They Will Come. The days of simply opening up a store or retail location and having customers flock to you ended in the 1950’s and it’s not coming back. Today’s consumer has a plethora of information at their disposal (mobile access to providers, customer reviews, competitor pricing, etc.) to help them pinpoint who they will purchase from. The more important goal is to make sure customers can find you when they do their search. In short, make sure you are doing your marketing. Expecting That Clients Will Stay With You. 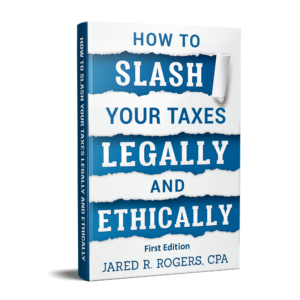 In our industry, many tax professionals don’t feel too compelled to offer “exemplary” service. Don’t get us wrong, you’ll have a decent experience, but you just may not get the red carpet rolled out for you. The reason is that many feel their clients won’t leave because it’s too much of a pain to switch accountants, tax preparers, etc. If you treat your clients like this, don’t be surprised when that up and coming competitor down the street steals them away from you. Not Making Your Company 24/7 Accessible To Customers. We’re not saying that you have to interact with your customers in the wee hours of the morning. We’re just saying that you need to give them a way to contact you when it’s convenient for them. It’s solely up to you if you want to return their calls at 2AM, or have an email auto responder at least tell them someone will contact them first thing during business hours. But not having a mechanism for the girl who works the graveyard shift to let you know she’s unhappy during her lunch break isn’t acceptable. Refusing To Embrace Technology. If you still rely on yellow page ads to bring you business, we have some news for you; no one uses the yellow pages to find providers anymore. Technology has made it so much easier for people to interact with one another. It’s also made it more instantaneous. Refusing to embrace current trends only does one thing; accelerate the decline in your revenue and ultimately your business. Not Making Your Website Mobil Friendly. We’re just as guilty of this as anyone else; but we realize that it needs to be fixed and are working on it. The truth is, many consumers access your website from their phone or other mobile device. If your website doesn’t look correct when they pull it up, what type of impression are you sending? Remember; always put your best foot forward. Not Offering Flexible Work Solutions. Certain professions are really big on “face time” or the amount of time you actually spend in the office. Given that this is 2013 and the various technological advances that we have made in the past 10-15 years; there really is no reason why you need to be in the office ALL of the time. If employees can’t work remotely, can’t take work home with them and can’t schedule non-critical work around their lives, don’t be surprised when they go and work for your competitor who does offer these things. Believing That You Don’t Have To Offer Competitive Benefits. Some “Old Timers” in every company or industry always seem to believe that the “new way” of doing things is just a fad. Unfortunately, denying current trends exist is just not good business sense. Thus, if your company isn’t trying to be competitive in this arena, be advised that your employees may not be sticking around too long. Not Offering A Casual Work Environment (Occasionally). Only bankers and those who entertain clients wear business professional dress all the time. Since the early 2000’s many companies offer a business casual environment with Friday even being a day where employees can dress down. Remember, it’s sometimes the little things that make your employees happy. Something as simple as altering the dress code when you aren’t meeting with customers can actually go a long way. Believing That Talented Young Staff Will Wait Their Turn. Do talented athletes wait their turn to enter the professional arena? Do gifted individuals waste their brain cells attending all years of college when they know more that all the professors combined? So the question becomes why would you think your talented young staff would wait to attain roles that they are currently ready for? The best thing to do is identify your company’s next bright stars and begin to groom them and put them through their paces. If you don’t, you may wake up one day and find them as your competitor! Expecting That Employees Will Stay With You. The day of company loyalty went out the door the day that companies started focusing on “shareholder value” as their guiding light. Employees nowadays have a lifespan of about 3-5 years before they are on to the next company. Now this doesn’t mean that you shouldn’t focus on developing your staff, or neglect succession planning. However, it does mean that you shouldn’t be surprised when one of your prized managers comes and tells you their leaving for their “dream job” in Hawaii. Seniority Based Rewards System. Do you remember that college professor you had that was absolutely horrible? You know the one who did your education a disservice and should have been fired years ago? Oh yeah, Your State University wouldn’t let them go because they had tenure (i.e. seniority). Quite simply put, rewarding people SOLELY because they have been around since dirt was invented is NOT a good way to operate. A better way is to reward those who do a good job AND stay around for the long haul. Earning The Right To Give Upward Feedback. Listen, we all have the right to praise and criticize (objectively of course). But the notion that feedback should only travel downward or laterally (as in the case of your peers) is not conductive to developing a world class operation. Everyone should have the right to give their opinion. If you not comfortable hearing what the entry level staff think, then offer them an anonymous way to do so via one of these platforms. Did you think we were going to say use a suggestion box? Please go back and read point number four! This entry was posted in Business Talk and tagged antiquated business ideas, antiquated business practices, business tips, importance of technology in business, old business habits, outdated business management, things that don't work in business, things that no longer work in business on June 20, 2013 by Administrator. In these trying times, getting called in for an interview can be your one and only shot at getting hired. With that in mind, every interaction you have with a company’s staff must be carefully planned so that it’s not wasted. • Come prepared. Do you know about the role? Do you know what our company does? Do you have a copy of your resume? Coming prepared signals that you are interested and bosses like “hungry” candidates. It also indicates that you’re the type of person who does their homework. As a manager, whom do you want sitting next to you in that weekly update meeting, the staff who has a notebook full of answers or the person who barely remembered the meeting? • Sell what makes you a fit. You might not have all the aspects of the job description. But if you made it this far, it means that they like what they see on paper. So sell yourself! Tell them what you do well, why you’re a pleasure to work with and how you think you’re a fit. When it boils down to it, the decision on who to bring on board is often swayed by who was better “liked.” If two candidates are equally matched, the one who typically wins is the one with the better selling skills. • Tell me how you’ll make our lives easier. Hey, bosses have enough on their plate. Ideally, they would like it if you could come in on day one and pick up the job with minimal assistance. Since that isn’t reality, if you can tell them how you’ll make their life easier, you’ll stand a good chance of getting a job offer. • Be gracious. Selling yourself is one thing, being cocky is another. Always speak humbly of what you can do, your competitors and your former employers. No one is perfect and there is always someone whom is better than you. It’s okay to be confident, just don’t let that boarder on being arrogant. Also, always follow up the interview with a thank you note or email. Bosses always remember who did/didn’t send one. When it comes time to make a decision, hiring managers take many things into account. However, a lot of what is asked/garnered during the interview process is really more about you as a person. People like to work with others whom they can relate to, get along with and feel will do the job. If you follow the tips above, you just may sway things in your favor if it comes down to you and another candidate. Good luck out there! This entry was posted in Business Talk and tagged bosses tips for interview, interviewing, job interview, job interview tips, tips for haivng a good interview, tips for job interview on May 29, 2013 by Administrator. Being in business is tough stuff. No matter how small or big you are, it never gets easier to achieve success. Combine that with the fact that you have hundreds if not thousands of competitors out there, and the job just seems to get harder. But it doesn’t have to be that way; not if you can differentiate yourself. You see, there are numerous reasons businesses fail. Lack of capital, poor planning, poor management, etc. But an often overlooked cause is simply not being different enough. You see, most customers don’t know your business from another one, unless you tell them WHY they should purchase from you. Rollo May, the distinguished psychiatrist, wrote a book called Man’s Search for Himself, and in it he writes: “The opposite of courage in our society is not cowardice … it is conformity.” Within that single sentence, you have a powerful cause of so many failures. Conformity — people acting like everyone else, without knowing why or where they are going. Analyze the competition. What do they do well and where do they miss the boat? What don’t they offer that you do or could? Where are they geographically located in relation to you? The key is to look for holes in the market to identify where you may be able to carve out a niche. Remember, you never go head-to-head with a competitor…well, not at first at least. Outperform on your core values. At Wilson Rogers, we place a great importance on servicing the customer relation aspect of our customers. What this means is that we go to great lengths to let customers know that they are NOT just another number on our P&L. They are a person/relationship whom we value and we want them to know that we care. This translates into customers who feel valued and they note this difference when comparing our company to our competitors. Figure out your core value and then perform on it better than anyone else dare even try. Determine what sets you apart. Maybe you’re the only jewelry store with a designer on the premises. Or maybe you’re a hand car wash that keeps a detailer on staff. The key is to figure out what sets you apart that you can proclaim to your customers. Once you identify what that claim is, you have an easy USP to hang your hat on. Use consumer pain points as inspiration. Sometimes, you just AREN’T different from your competitors. Thus, when all else fails, list the main frustrations customers in your industry face and devise a USP to satisfy them. 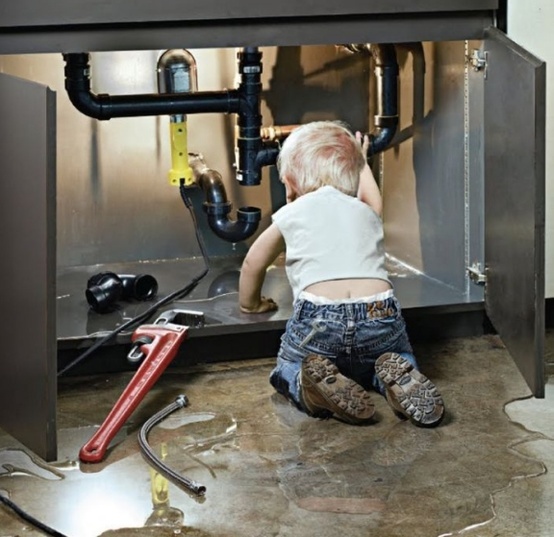 For example, if you are a plumber, you may offer a one hour service window for customer appointments. This can be used to address the frustration of customers who call a plumber who says they will be there at 2PM, but then call at 4PM and state that they can’t make it because they’re behind on a job they had earlier. Offer a guarantee. They key here is to focus on offering a cure for common customer frustrations. Going back to our plumber above, they might guarantee that if they don’t show up within the last 15 minutes of the scheduled hour window they will provide the first hour of work free. Or they could guarantee that they’ll leave the house cleaner than when they arrived, and show up in uniforms with belts. The goal: conquer plumbers’ reputation for lateness, messiness and embarrassing rear views. Hey, I learned from the best of ’em! Be specific. Baskin-Robbins was known for its 31 flavors, even incorporating “31” into its logo. You might be a heating company that’s on call 24/7/365, a manufacturer that offers 1,000 different SKUs, or a gym with 99 benches. The key is if you’ve got it, flaunt it and tell the world! Always deliver. The plumbing contractor mentioned above might established a series of systems to make good on its guarantee. This could include equipping employees with handheld vacuums, booties and belted uniforms. But whatever your USP is, make sure that you can deliver on it every single time. If you can’t, it’s useless and you shouldn’t go through the effort of even creating it. This entry was posted in Business Talk and tagged Competition, creating your USP, Rollo May, Unique selling proposition, using differentiation in business, USP on May 19, 2013 by Administrator. When many entrepreneurs begin their new venture, they often believe that things are going to just “sort” of happen. You know, we’ll come up with some financial projects for our business plan, find a location, open for business, customers will love us and we’ll grow like gangbusters. Right? Unfortunately, the startling reality for many new businesses is that the “grow like gangbusters” phase often takes a lot longer than you originally projected. Why? Well, sometimes new entrepreneurs go into business with incorrect assumptions. These can range from the amount of funds needed to start the company to the lift they expect from their marketing campaigns or just the amount of initial/repeat business they will get. Marketing. Build it and they will come. Well…only if customers have a need which you can satisfy, know where to find you and can see that you have benefits that your competitors don’t. In order to communicate all of the above to your new would be customers; you better make sure you have a marketing plan. And sorry, word of mouth is not a marketing plan. It is a component of your marketing plan, and in all honesty it’s one of the “weaker” ones as you are “hoping” that your customers will go out and sing your praises to everyone they meet. Instead, come up with 6-10 mechanisms that you will use to promote your company/product and actively work on them each day. They don’t have to be expensive, but you do need a plan and a number of marketing vehicles if you seriously want to survive the startup phase. Sales. Marketing brings the people to your establishment. Sales then conveys what you have to offer and why the customer should purchase it. Without marketing you have no sales. Without sales, you have no work to perform or products to make or services to provide. Thus always remember this; no matter what you “do” in your business, that is actually the tertiary stage of operations. You are a marketer FIRST, a sales person SECOND and then (and only then) are you a baker, nail technician, bookkeeper, dance instructor, socialite, etc. Good customer service. We’ve spoke about this topic at length, but it needs to be emphasized. If you want customers to come back, make sure you offer good service. You can be the best at what you do and offer the best product, but if the customer has a bad experience, you can kiss their repeat business goodbye. Shoot for the moon. Sometimes us humans really want to be failures but at other times we are just afraid to succeed. Honestly, sometimes we are petrified by what would happen if things actually went well. What if I got that job in California? Then I’d have to uproot my family and move to take it. What if our business grew at 500% next year? Man, we’d have to hire people and I’d be really busy. I kind of like things they way they are. Maybe I just won’t try to grow “that” much next year. Well let us clue you in on something; it’s actually fun to deal with some of those problems. So don’t sell yourself short. Don’t be afraid if your wildest dream comes true. Shoot for the moon and deal with the “problems” once you have them, not before you get them. Trust us; we think you’ll be happy with the result. This entry was posted in Business Talk and tagged customer service, growing a new business, growing our new business, growing your business takes time, how to grow your business, marketing, sales on April 25, 2013 by Administrator. Sometimes heading up a business can be rough stuff. Things will not always go as planned, customers may be demanding and vendors may be unreasonable or uncooperative. While you are the head of the company, you are a human being after it is all said and done. Given the preceding statement, us humans have emotions and sometimes that will lead you to have a bad day. Something goes wrong and threatens either the success of a particular task or worse your entire business. You start to dwell on what is going wrong and as a result, you begin to miss opportunities to correct the situation. As things compound on one another, your spirits begin to slide and you lose hope. This feeling begins to permeate your attitude, which others will no doubt pick up on. From there you may find yourself feeling as if “nothing is going right” and things are simply going from bad to worse. The major take away from the above scenario is that the Law of Attraction works on all of us, whether we are consciously utilizing it or not. The Law of Attraction basically says that you attract into your life that which you think about most. Thus, whatever you spend most of your time thinking about is most likely the thing you’re taking the most action on. So then, how do you fix a bad day as a CEO? Have a pity party for 2 mins and then move on! Yes, you are a human. But “crying over spilled milk” isn’t going to fix the situation. At some point, you simply need to tell yourself that this is the situation you are dealing with and you need to work on fixing it. Reaffirm what you do well. Bad days will usually make you doubt yourself. What did I do wrong? Why didn’t we win that sale? How much longer can we survive? However, the key to reversing these feelings is to remind yourself that you are in fact good at something and this is just a setback. Acknowledge what is out of your control. We as humans like to control things – it’s in our nature. But the reality is that a good portion of our lives are not within our control. To fix a bad day, let go of what you have no control over (like that truck that crashed into your storefront) and focus on what you can fix. Focus on what you can do. In every situation there are things that you can do to “right the ship” and get you back on track. If that means going out and drumming up business, visiting clients, firing that headache employee or just taking a quick break to clear your mind, identify what you CAN control. Act on what you can. Nothing is going to fix itself and no one is going to help you. Being a CEO is a lonely job. At the end of the day, you are responsible for everything that happens in your company (good and bad). But sitting around waiting for the situation to get better is not the answer. So get up, dust yourself off and get to work. Remember, whatever you spend most of your time thinking about is most likely the thing you’re taking the most action on. So start thinking/acting on how to make tomorrow a good day! This entry was posted in Business Talk and tagged dealing with a bad day, dealing with a bad day at work, dealing with bad days running a business, had a bad day, inner game, law of attraction on February 10, 2013 by Administrator. How do I build up my clientele? What is the best way to market my services? How do I encourage more client referrals? How much should I charge for services? Recently, a question was posed in a forum we participate in regarding affordable ways to market a tax and accounting business. With that being said, we figured that we’d offer up our two cents on what we and others have had success with. The first thing to keep in mind is that tax and accounting services typically have to be marketed in a manner different than consumable goods. We often tell people that if they were unexpectedly dropped off in a foreign country, they probably wouldn’t go to the phone book to look for their doctor, dentist or barber/hairstylist. Why? Because each of these services involves a “relationship component” so to speak. To find these providers, you will more than likely turn to a colleague and ask them for a recommendation or referral. This tends to be the same for a majority of consumers when they are searching for a new tax or accounting professional. With that being said, marketing for tax and accounting services needs to address two areas: relationship management and search optimization. Relationship Management Unless you are starting from scratch, a good place to begin your marketing efforts is with your existing client base (no matter how large or small). Here are some ideas on how you can leverage your relationship with these individuals and hopefully yield an instant sales force. Have a referral program. Everyone likes to be able to tell their friends that they have a “guy/girl” who can take care of them. If you do a good job, your clients will be more than willing to tell others about the wonderful service you offer. So make it easy for them. Develop a one page sell sheet, similar to this one, that gives them all of the information they need to refer you properly. Having a written description of who makes an ideal prospect and how your referral system works is a powerful way to get more qualified leads. Reward those who make referrals. Mother always reminded you to say please and thank you. It’s good advice to follow this mantra when dealing with your referrals. Your reward doesn’t have to be expensive; it can be as simple as a thank you card or a $20 gift card. The key is to acknowledge that you appreciate the trust your referrer placed in you by giving someone their recommendation. Routinely “touch” your clients and network. Many marketers will tell you that it often takes 7-9 “touches” before a prospective client will engage you for services. It’s also recommended that you communicate with your existing clients this frequently or even more so. Many of the “touches” used in our practice are not sales oriented at all. For instance, we send birthday/holiday cards to our clients and their spouses just to show we value our relationship. Additionally, we use a monthly newsletter to interact with our clients and remind them that we are there to serve them and their friends should the need arise. All in all, you just want to make sure that you are top of mind when someone asks anyone in your network for a tax/accounting service provider. Search Optimization In this day and age, the web (not the yellow pages) is where people often turn if they don’t have a person who can offer them a recommendation (think a person who just moved to a new town). With that being said, you need to make sure that your marketing is “search optimized” to help drive traffic to a place where they can locate or interact with you. If you think of the web as a barrel where people bob for apples (and you/your competition are the apples) you want to make sure that you have as many apples in play as you can. Listed below are some ways that you can increase your apples so to speak. Web page. With more people conducting web searches on the fly while they are out and about, make sure you web page works well with mobile devices such as smart phones and tablets. We’ve found that our site looks fine on a computer, but when it’s on a mobile device there are some issues (yeah, we’re working on it). Like they say, first impressions count and you want to make sure you are putting your best foot forward. Google/Bing. These two sites offer services that will visibly highlight the location of your office on their page if you take the effort to set it up. Google Places and Bing Local will allow you to create a free listing complete with description, services, hours and a map of where you are located. True, you do need to wait for them to verify that you are the owner of the business (either by mail or phone) but it’s well worth the time to make it easier for prospects and clients to find you. Blog. This is just another way for people to “stumble” across your existence. Mr. Rogers likes to write so it’s not too hard for him to come up with ideas or content for us to post on our blog. Plus, because the blog is search engine optimized, it often drives traffic to us and our website when people search for key words that are in some of our post. Do a Google search for “2013 tax season delay” and for some reason one of our posts is the first item you will see. Free publicity? We’ll take it any day. Service provider sites. In addition to Google/Bing, there are some accounting specific sites that will let you set up a profile free of charge. One of our favorites is Teaspiller. There are also sites where you can pay for a listing; our favorite in this category is Bookkeepinghelp. Even if you only get one new client from each site, it’s pretty much 100% profit as you didn’t have to pay for the ad (outside of a little time to set it up) or very little in the case where you did have to pay. Free media press. If you like to write articles or do interviews, you could get some free web and physical traffic by reaching out to your local media contacts. If you make yourself available as the “local expert” in taxes (particularly during tax season) you might get some news coverage. Media professionals always need someone whom that can turn to when there is a particular tax topic they need a comment or perspective on. Why not make that person yourself or your practice? While each of the above individually will not send droves of clients to your door, when implemented as a comprehensive strategy, they will yield a constant stream of prospects. We’ve often said to other professionals, we don’t know ONE way to generate a hundred clients, but we do know HUNDREDS of ways to get one client. Hopefully the above has gotten your own marketing juices flowing. Until next time! This entry was posted in Business Talk and tagged advertising services for my accounting business, advertising services for my tax business, how to market your accounting business, how to market your accounting firm, how to market your accounting practice on December 30, 2012 by Administrator.